Running any enterprise, large or small, in today’s world is a complex business. It’s not enough to be good at what you do. Any business person needs to absorb, understand and employ a vast array of knowledge about some very complex regulations and compliance issues, just to stay in front. Furthermore, any failure to do so can be truly catastrophic for a business and it’s owners. Owners in the Business Adviser “family” of clients have no such concerns. OurSydney Business Consultancy service offers peace of mind to those owners, across the broad range of responsibilities demanded of business in today’s current climate. 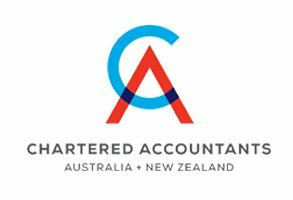 It’s not just that we’re Chartered Accountants with more than a quarter century of experience either. We can handle the bookkeeping and accountancy of course, but our Business Consultancy covers a much broader range of business help services than just the financials. We have expertise in such diverse business assistance fields as tax and compliance legislation, succession planning, operational management, “lean accountancy”,Audit, and Financial Planning; all kinds of business advice in fact. B.A’s Business Consultancy professionals are registered Sydney Property and Business Agents, well equipped to give you the best possible advice on why and when buying or selling your business is a good move. Should you rent or buy premises? What are the advantages of each? If you’re a woman in business, we have highly qualified women with years of experience, available to assist with almost any aspect of your enterprise. We’ll make sure your personal assets are protected and we can even provide you advice for marketing your business online and drive sales leads to your door! Business Consultancy is a “broad church” and Business Adviser has all the necessary skills available for you to nurture and grow your business…all available right now. All you need to do is call the number below or enter your details. We guarantee to ease the load on your shoulders. Enquire today and receive a free consultation. * If the cycle of your business is such that you are in difficulty with your creditors, ATO, shareholders, etc. we can assist in a turnaround of your business or advise appropriate exit strategies to support you in difficult times.